But enough of that. You're probably wondering what mangoes have to do with missionaries other than the fact that a lot of missionaries get to eat them. 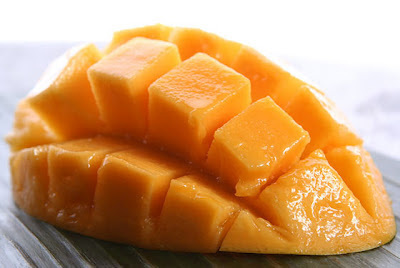 So we'll get to the real point of this post. . . .
You see, there is a something that happens when the mangoes get to be a good size on our trees. You start to see more than mangoes; you see little people, too. Sure they might be bored; but that's not the real reason for the frequent visits. They want the fruit. Now the rule at our school prohibits the children from picking the mangoes unless asked to do so for the purpose of taking them to the kitchen. However, the mangoes that fall to the ground are for whoever is first to find them. And believe me; they are never on the ground for long. Sometimes the children simply pass under the tree; while other times they sit under the tree . . . waiting . . . waiting for some of that precious fruit. Their desire never seems to grow dim--even if they rarely do find something. This time of year happens to also be the beginning of the rainy season--a time when wind and rain are not uncommon. Last night was just one of those times when the wind was blowing harder than it seemed some of our trees and houses might endure. But as I stood in the darkness, watching the flashes of lightening brighten the sky, I saw a sight that will not leave me for a long time. There under the mango tree were two boys picking up those mangoes as fast as they could. It wasn't long before their shirts were almost too full to hold anymore. But that wouldn't stop them. They kept at it. Eagerly looking for every mango that had fallen to the ground. Their search wasn't confined to the perimeters of the tree either. They looked all around, far and near, looking for anything that might be a mango. Then my thoughts turned to those who were not out there in the storm searching for fruit. They were resting in their dorms and probably thinking nothing of the fruit that was so rapidly falling to the ground. After all, there was a storm going on, why venture outside? So you see, it's not the mangoes that I equate to missionaries--but rather the ones who were searching for them. The lessons that could be learned are many. Yet, the one that stands out to me is this: Those boys were hungry to for mangoes; I am to be hungry for souls. I may have to wait sometimes. I may have to go somewhere else for a time and return again later. But I should never take my thoughts off of the mission that I have of helping to gather in those precious souls. And if I don't eagerly search for souls now, what will I do when the storm comes? Me and one of our students who was baptized last Sabbath. That was a really cute story Hannah! Made me laugh! :)....and with a beautiful object lesson! Thank you for sharing!